For over a decade, we at Island View Nursery have focused on providing Vancouver Island with lush, quality, and thriving plants. Founder John Garcia, with his passion for horticulture (having owned Barker Landscaping Ltd. since the early 1980s), dreamed of creating a beautiful and customer friendly space to grow and provide plants to others within the industry. Since 2004, this 80 acre stretch of rich plant material continues to flourish and maintain its exceptional reputation. 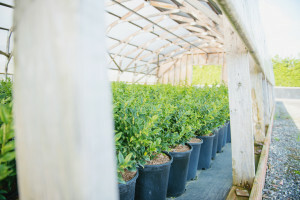 As one of the largest wholesale nurseries on the island, we are dedicated to giving our customers the most enjoyable experience when choosing us.